It seems like everywhere you look, folks are taking the color plunge! Whether it be to accentuate a new cut, get out of a bored rut, or step out into summer a little brighter, more and more naturals are experimenting with hair color. That old tiiiiiired narrative of "you ain't natural if..." is fading into obscurity (thank God) and being replaced with a resounding #doyouboo, and I couldn't be happier. I've always been a huge fan of people doing whatever the heck they want to their hair, without regard for the opinions of others. But this color thing, it can be tricky. And to be totally honest, I wish I would have taken the time to learn more about dye before taking the color plunge. This is one of those times where impromptu decisions got to override carefully thought out plans, and I had to invoke the spirit of "learn as you go" to keep my hair from falling out. Or to keep me from dyeing it back dark. Below is my "it" list. I originally wanted this list to be like 20 products long, but me in all my product junkie-ness pulled back seriously. 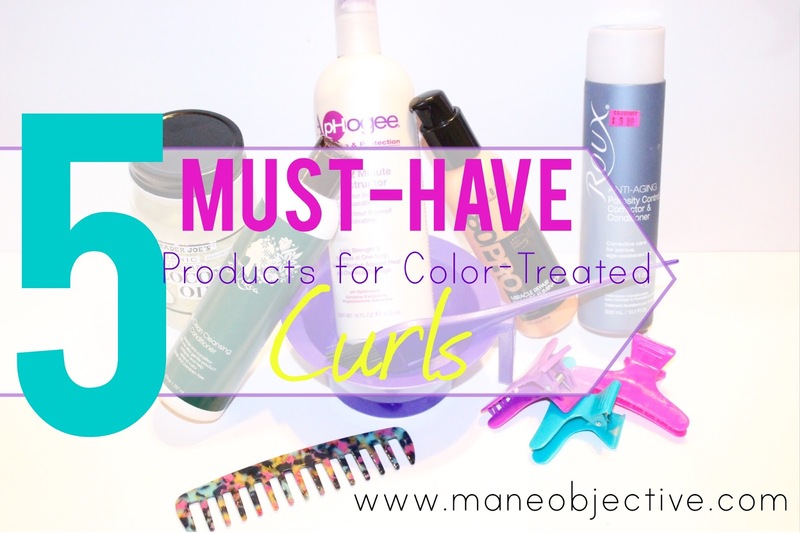 I took a long hard look at my product inventory (I can't even call it a stash anymore), and made some firm decisions about what products are not just good, but absolutely necessary for my color treated curls. So below, you won't find tons and tons of what I like, love, and can rave endlessly about -- I'll be sharing what the product is, what it does, why you'd need it, and how to use it. Ready? Let's go! What it is: A co-wash/cleansing conditioner formulated for all hair types, but works especially well for dry, over-processed, and color-treated hair (textured and straight). What it does: Cleanses, detangles, smooths, de-frizzes, hydrates, adds shine, and protects color. Why you need it: To make wash day a whole heck of a lot easier. Hair with color is infinitely more delicate than non color-treated hair. You need a cleansing product that's gentle, effective, and has tons of slip and moisture to keep your strands from snapping as you comb and work through them. If your current co-wash isn't cutting it, look into Be Kekoa Be Clean to help make a seamless transition to a fuss-free wash day. How to use it: Like you would any other co-wash. Wet your hair, add Be Clean, add a little more water, and boom! What it is: A high-intensity leave-in serum that delivers damage repair, conditioning, and strengthening proteins to help reduce the signs of breakage and damage in color treated and overprocessed hair. What it does: Binds to the damage sites of the hair, strengthening and helping to prevent breakage. How to use it: After washing and deep conditioning, apply 180PRO Miracle Repair Damage Eliminator to your hair, starting with the ends (or most damaged sections) first. Smooth it into your strands, and proceed with styling as usual. What it is: A lighter, less scary version of the 2-Step Protein Treatment that acts as a reconstructing treatment for heat and chemically damaged hair. What it does: Strengthens and restores elasticity and softness to dry, damaged hair. Also helps remove mineral deposits from swimming pools and hard water. Why you need it: This was the first product I went after once I realized my hair was beginning to show signs of breakage and limp curl syndrome. ApHogee Keratin 2 Minute Reconstructor whipped my curls back into shape. If you feel like your texture is beginning to loosen post dye job, or you used heat after color, I highly recommend the ApHogee Keratin 2 Minute Reconstructor. It's also a great conditioning treatment to help stop breakage and pH balance the hair -- which is especially great for hair that feels rough and constantly dry. How to use it: Use as a conditioning treatment after cleansing. Work through the hair and scalp and leave on for 2-5 minutes. 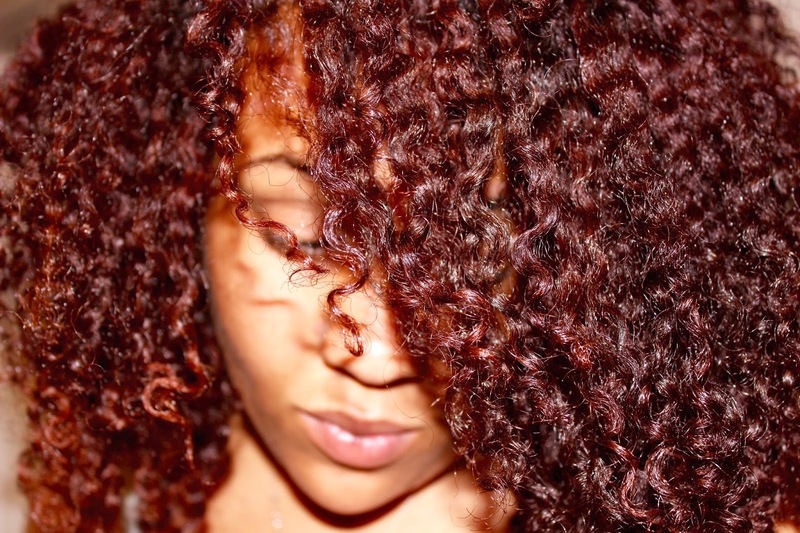 You can use it as your conditioner, or use it after deep conditioning for extra strength. It works either way. What it is: A porosity equalizing conditioner that helps properly close the hair cuticle while strengthening and softening chemically treated tresses. It is designed to be a pre-treatment, but can be used post wash and condition. What it does: Enhance shine, improve manageability, reduce frizz, strengthen the hair, improve moisture retention, lay the cuticle flat, decrease the "rough feel" of color treated hair. Why you need it: If your hair is rough, frizzy, dull, difficult to detangle, or perpetually dry after color treatment, you likely need Roux Porosity Control Corrector Conditioner to help idle things out. How to use it: As a pre-poo treatment or post-deep conditioning. Apply it generously from end to root, and allow it to sit for 30 seconds before rinsing. More: Not sure about your porosity? Click here. What it is: C'mon son. What it does: EVERYTHING! Coconut oil will rescue your hair, add shine, reduce breakage and protein loss, improve your credit score, and help regrow your edges. But seriously, when applied to color treated hair, coconut oil helps improve elasticity, reduce breakage, mitigate protein loss during washing, add shine, and seal in moisture. Why you need it: If for no other reason but the shine factor. I've noticed that coconut oil rescues my hair from looking super dull and dry. It also helps improve softness and moisture retention in hair that is perpetually dehydrated. By far, coconut oil outperforms other oils in terms of making color treated hair look and feel healthier. How to use it: pre-poo with it, seal with it, scrunch it on your ends -- the possibilities are endless! Stay tuned for my next post this week -- I'll be sharing all the answers from my color Q&A on Instagram!